At SOT-G we employ highly skilled and trained professionals to work with you. 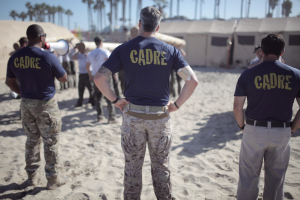 As each of our programs are tailored to your needs, we tailor our Cadre to you. Each team member has their own unique skill and technique, and each one is a trusted resource for SOT-G and its clientele. You can be sure that we will choose the best Cadre to fit the needs of your group. Strive to win, no matter what the situation…On Time, On Target, Every Time, Never Quit!